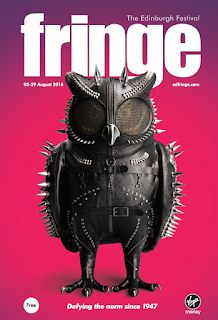 The Edinburgh Festival Fringe returns for what promises to be another fantastic edition of the most renowned open access arts festival in the world. All ages and appetites are catered for in a programme that includes theatre, dance, circus, physical theatre, comedy, music, musicals, opera, cabaret and variety, children’s shows, free shows, exhibitions, events and spoken word. 2016 will see 50,266 performances of 3,269 shows from 48 countries in 294 venues across Edinburgh. In 2016 new venues include some of Edinburgh’s best known landmarks, unusual venues and popular pubs. Gilded Balloon partners with the National Museum of Scotland for the first time. The Museum has won numerous awards since the completion of extensive redevelopment work in 2011 and will play host to a mix of comedy, theatre and children’s shows. C venues open C scala at St Stephen’s Church in Stockbridge, creating four performance spaces including a 450 capacity theatre in the gorgeous Grade-A Georgian listed building. Merchant’s Hall is home to a new partnership between Scottish spirit producers Arbikie Highland Estate and local catering company Mackenzies Catering, offering sit-down meals accompanied by an eclectic range of musical acts including jazz, soul, hip hop, classical, pop and folk, and Assembly Rooms will this year play host to the inaugural Edinburgh Digital Entertainment Festival, a celebration of the intersection of new technology and arts entertainment, offering audiences the chance to experience enhanced performance, storytelling and film through VR, games, digital theatre, event cinema and live to digital events and performances.